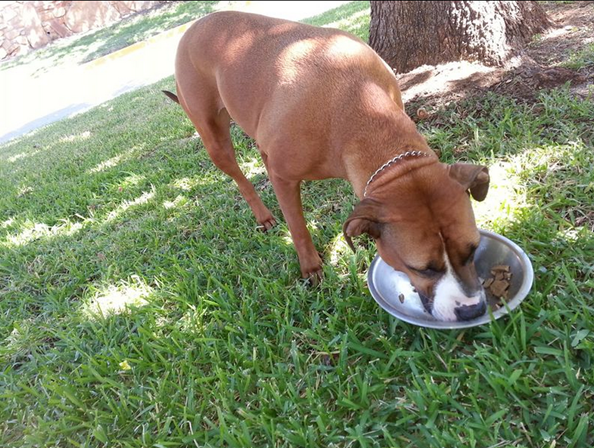 ALPO® Makes Molly A Happy Dog! You are here: Home / Great Deals / ALPO® Makes Molly A Happy Dog! 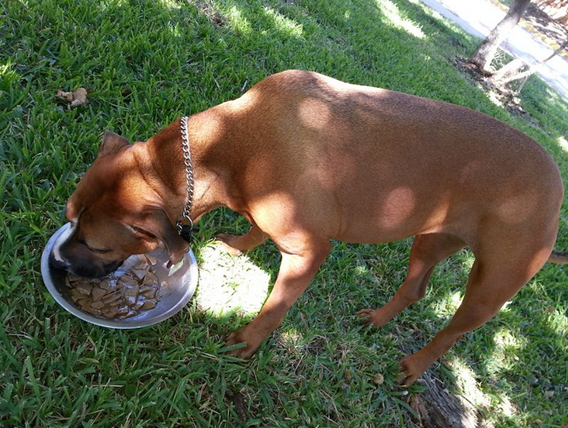 I told you a few days ago about how much our Molly loves wet dog food. 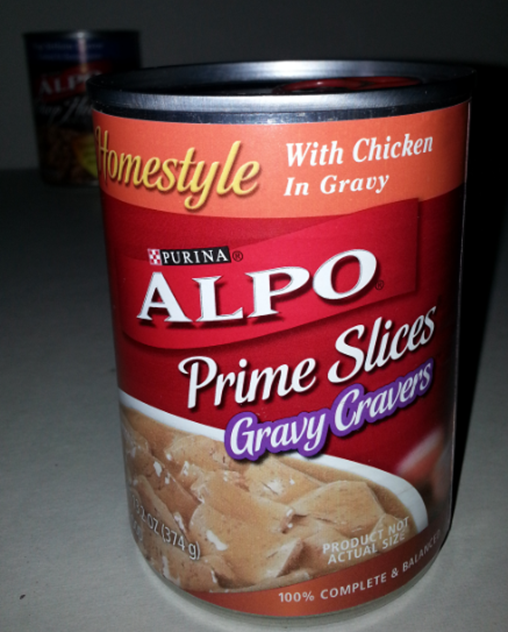 Alpo sent us some of their ALPO® Homestyle Prime cuts gravy cravers for us to try and see how she liked it. After we tortured her enough with all of the picture taking – we allowed her to get at it! She wasted no time! 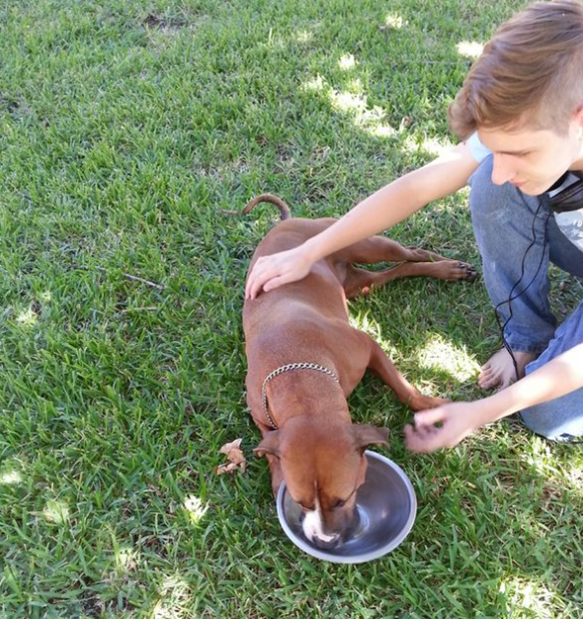 She took NO breaks – she ate every drop and licked it clean! She has always been such a great dog! We are so happy to make her happy! When we decided to get a dog we decided to get one from the shelter. We wanted one with not much hair – so, we didn’t have all the hair all over the house. We wanted one that was a little older and house trained and over the chewing on everything stage. 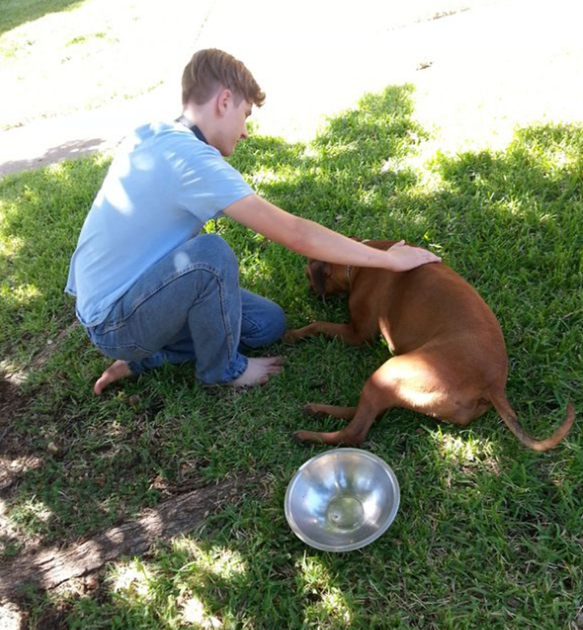 So, off to the shelter we went, we were thinking a Boxer might be fun. So, we got to the Shelter and they had little rooms and each dog was in a room where the wall came up about waist high and then a window you could look in to see the dog. Every window had a jumping, begging dog in it as people walked by and looked in. There was one window where no one was looking and no dog was jumping up. 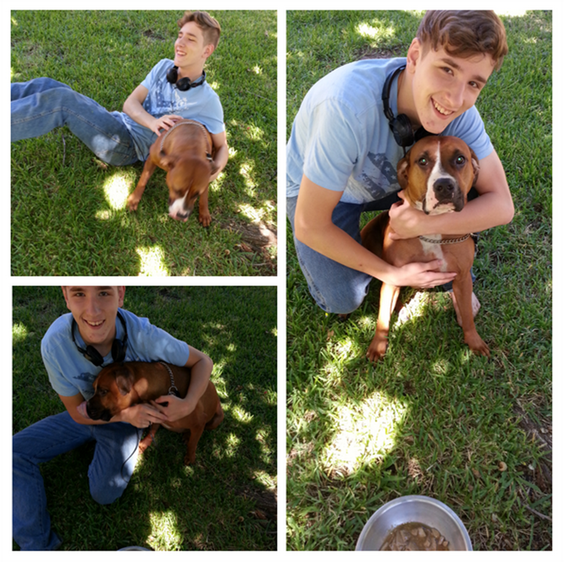 My curiosity got the best of me – I looked in and there on the floor was the cutest Boxer mix! Bear walked over and she jumped up and was so excited to see him! So, we asked to see her and they took us to a viewing room and they brought her in and she – big ole thing – laid herself up in Bear’s lap and they have been inseparable ever since! We are so happy with her and how loving she is – it really makes us so happy to see her happy! So, we were thrilled to see that ALPO® does that! Knowing that not only does Molly love the taste of ALPO® wet dog food, but the nutrition and variety we get is also a huge plus. ALPO® wet dog food is 100% complete and balanced and has quality ingredients, like healthy protein sources, wholesome grains and accents of vegetables, contribute to form a complete and balanced diet for each life stage. ALPO® dog food helps support a happy, healthy life, a shiny coat, strong bones and teeth and a mealtime tail that just can’t stop wagging. A healthy dog is a happy dog. Check out other dog lover’s on ALPO’s Facebook Page!